On 29 april 2013, I had the chance to be invited at the library of Riches Claires in Brussels to attend a session by Françoise Leresche about FRBR and RDA. FRBR and RDA will allow libraries to improve the visibility of their catalogs on the Internet by publishing chunks of structured information using the most recent semantic web technologies like RDF. 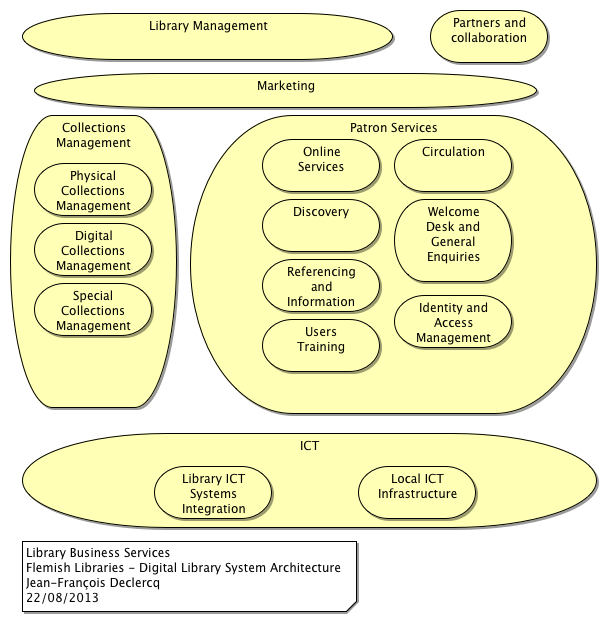 During the “day of the book sector” (“Dag van de boekenvak”), the 3 innovative modules of the VEP (Vlaams eBoek Platfrom) will be explained at the Boekenbeurs 2012. 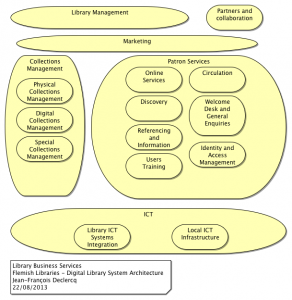 I’m currently working on the “eBook Value Chains” in Libraries and Bookstores. By googling on the subject I found a paper by PWC : “Turning the Page: The Future of eBooks“.